With SOS 6th Grade Math, student's will be introduced to recognizing geometric shapes and finding percentages. Metric and English measurements, equations, and statistics are also taught. If you need to spend extra time on one concept, go ahead! 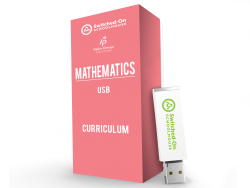 This curriculum offers both flexibility and convenience to easily change lesson schedules!